Some rights reserved (Creative Commons). This coloring page is created by Frank De Kleine. Original photo by Lali Masriera. Free printable coloring page of two very beautiful horses. Some rights reserved (Creative Commons). This coloring page is created by Frank De Kleine. Original photo by Mikelo. 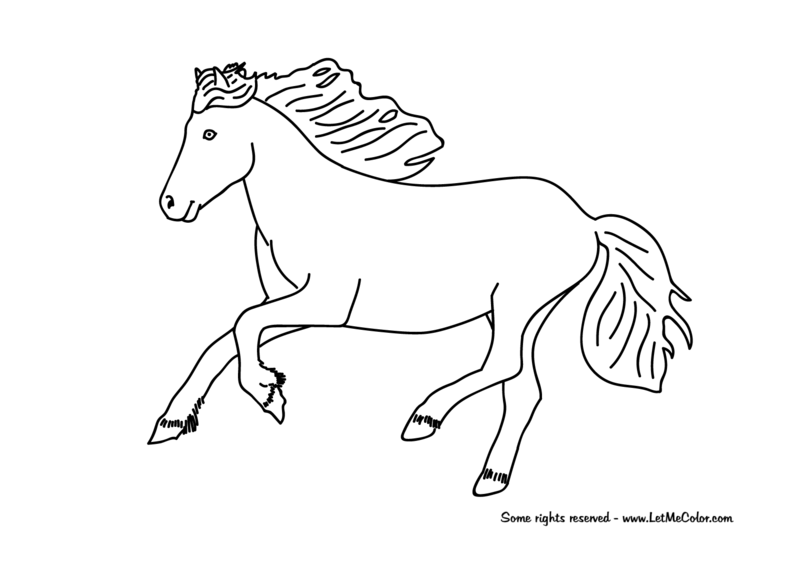 This is a free printable coloring page of a horse standing in the water. Some rights reserved (Creative Commons). This coloring page is created by Frank De Kleine. Original photo by paddy patterson. This is a free printable coloring page of a horse named Denver, watching over a fence, looking at the camera. Some rights reserved (Creative Commons). This coloring page is created by Frank De Kleine. Original photo by emdot/marya. The Andalusian horse in this printable coloring page is moving from left to right. Perhaps you know it already, but Andalusians are white horses. But not here, duuuuh! So get your colored pencils and let’s get wild. Have you ever seen a purple horse? Some rights reserved (Creative Commons). This coloring page is created by Frank De Kleine. Original photo by Wenni.